Sometimes understanding your benefits can be challenging. Keep in mind that Medical insurances do not necessary include vision benefits. Some plans do have vision insurances and we can always help you figure out your eligibility. Vision insurance covers your routine eye examination for glasses or contacts or both. Most vision insurances have material benefits. Vision insurance usually falls under a vision plan separate from the medical plan. 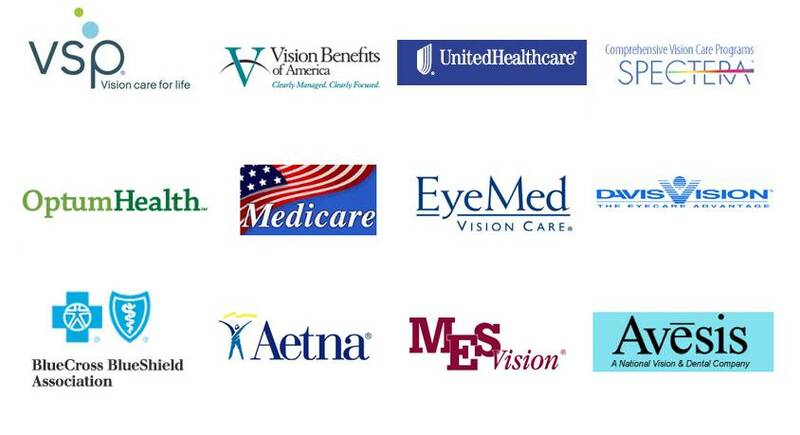 We urge our patients to find out the name of their vision plan ahead of time; this can help expedite your visit. However if you don’t know much about the vision plans name then don’t worry we can always find out for you. We welcome our Medicare patients with Medicare benefits. Some Medicare plans do carry a vision plan that covers the eye exam and dilation. To best serve the needs of our Medicare population, we have put together a great selection of eye glasses for comfort, durability, and affordability. If you need special assistance, please bring that to our attention when you call to make your appointment. We are very familiar with your insurance plans and happy to help you with your benefits. We can accommodate UCLA members within 24 hours of your call or sooner. We try to accommodate your busy life style by expediting your appointment and other needs. We would love to provide for your vision care and needs. If you prefer to avoid the Westwood area (for reasons we already know) then you can visit us in our Montrose office which is not more than 15-20 minutes away from USC. We do accept your vision insurances and you are always welcome to our both offices! Please call our office for more information if you have questions regarding your specific vision plan coverage and eligibility.